Enjoy all the shrimp you can eat for $17.99*. Select from Pacific White Shrimp, Old Bay Shrimp and Cajun Shrimp ... and then go back for more! *Price for entree only. Price per person, no sharing allowed. No boxes or take home containers allowed. *Not valid with any other promotion, discount, certificate or offer. You waited all year & the day is finally here, April 11th is... 🧀 National Cheese Fondue Day! 🧀 In honor of our favorite holiday we will be offering FREE* Cheese Fondue April 8th - 11th. In honor of our favorite holiday we will be offering FREE* Cheese Fondue April 8th - 11th. *Receive 1(one) free portion of cheese fondue with the purchase of any entree & beverage. Offer not valid with any other promotion, discount, certificate or offer. Because more is better ... enjoy Endless Seafood & Pasta Entrees for $24.99/person! Select any variety of Shrimp, Salmon, Tuna & Ravioli and then dive back in for more! Offer not valid with any other promotion, discount, certificate or offer. Skip the buffet lines, and hop in for something different this Easter. Endless Fondue is back at The Melting Pot! Enjoy 4 endless courses for $39.99/person Want more for less? Bring your friends and save ... parties of 4 or more can all enjoy Endless Fondue for $36.99/person. Skip the buffet lines, and hop in for something different this Easter. 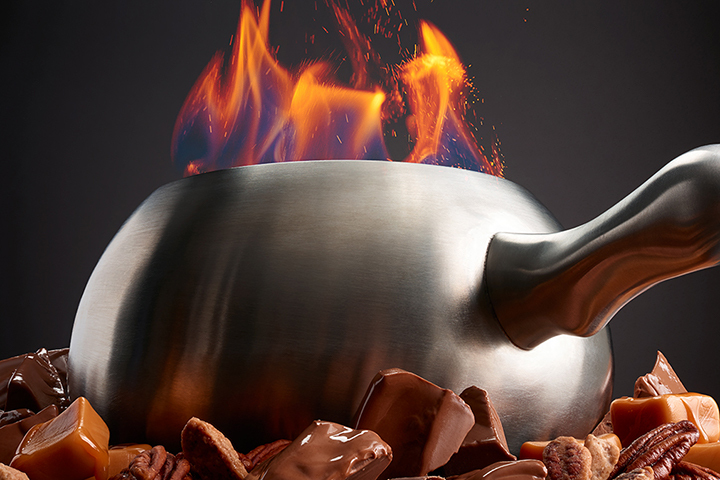 Endless Fondue is back at The Melting Pot! Enjoy 4 endless courses for $39.99/person Want more for less? Bring your friends and save ... parties of 4 or more can all enjoy Endless Fondue for $36.99/person. The evening's four-course dinner includes BOTTOMLESS choices of cheese fondue, salad, an endless fondue entree* & chocolate fondue. April 28 thru 30 the date is the price! Dine for $28 on the 28th, $29 on the 29th or $30 on the 30th! Hurry in for this end of the month dining deal. Enjoy a 3-course land & sea experience and the cost matches the date! Enjoy your choice of Cheese Fondue, Salad and a Petite Entree for $25.99 with reservations between 5PM & 6PM. Bringing your kids to work? Eh, maybe that’s fun. But bringing your kids to Fondue? Now that’s a good time - especially when KIDS EAT FREE with the purchase of an adult entrée. * Introduce the kids to the wonderful world of melted cheese and chocolate. *Valid only for kids 12 and under with the purchase of an adult entrée. One child entree per adult entree. Some restrictions apply. Not valid with any other promotional offer, discount or dip certificate. Valid Sundays only. No cash value. No rain checks. Offer does not include state or county taxes. Reservations subject to availability by location. See store for details or restrictions. Offer is valid at this location only. Ladies enjoy cheese, salad, and chocolate for $18.99 per lady, or add a petite entree for $10 plus select martinis and wines on special for $6. See store for details, reservations are recommended. Join us on the last Thursday of the month for a fantastic deal for four! Four can dine for $99! Dinner includes 3-Courses featuring Cheese Fondue, Fresh-made Salad and a Select Entree of Pacific White Shrimp, All Natural Chicken Breast, Teriyaki-marinated Sirloin and Featured Pasta. Blow out the candle & make your wish .... Consider it granted! Dine for FREE the week of your Birthday. Blow out the candle & make your wish .... Consider it granted! Dine for FREE the week of your Birthday. Our gift to you a FREE 4-course dinner*, during the week of your birthday when you dine with a party of four or more guests. *Free dinner will in equal or lesser value to the 4-course dinners of all other members of their party of 4 or more guests. **Offer not valid on Friday & Saturday. ***Offer only valid within 7 days of birthday.